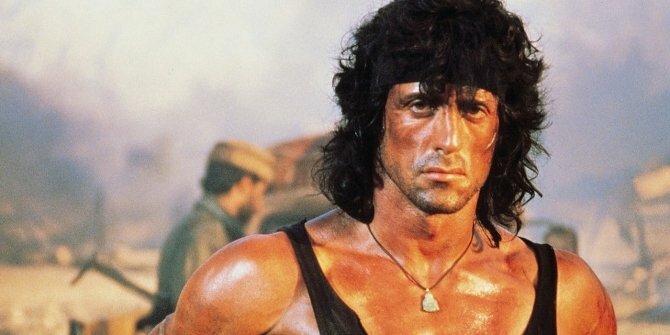 Long before Millennium fired up plans for a fifth installment in the Rambo series, Sylvester Stallone became attached to The Savage Hunt, a continuation of the cult franchise that would’ve placed the Vietnam war veteran on a collision course with a beastly monster not of this world. As reported by the folks over at Bloody Disgusting, back in 2009, Nu Image/Millennium Films began mulling over a bold new story for John Rambo that would’ve thrust our gun-toting hero into completely uncharted territory: science fiction. Loosely inspired by James Byron Huggins’ 1999 novel, Hunter, The Savage Hunt was all about Rambo’s quest to defeat a Predator-style monstrosity – an “amalgamation of fury and intelligence and pure, unadulterated rage,” as Stallone recounts in this archived interview. It’s not a Universal Soldier… it’s not me fighting a super soldier… it’s actually a feral beast. It’s a… thing. It’s this amalgamation of fury and intelligence and pure, unadulterated rage. It’s before men became… hu-men. This is when they were still inhuman. And so, what [Rambo] confronts is something that is everyone’s nightmare. But in no sense of the word does he go against the Dolph Lundgren or Jean-Claude Van Damme super soldier. 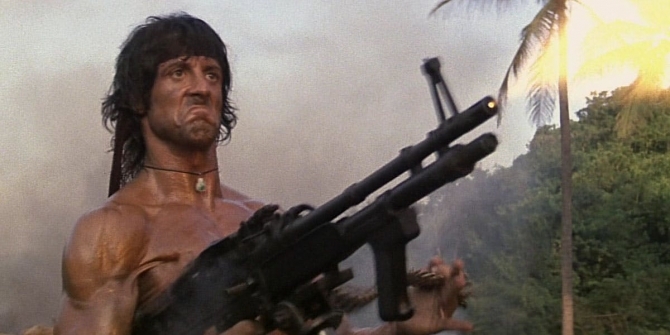 So whereas next year’s soft reboot plans to set Stallone’s war veteran up against “Mexico’s most violent cartels,” the original plan for Rambo 5 involved more supernatural action than your standard, run-of-the-mill drug drama. He’s going against a feral beast that has absolute cunning and intelligence and a will to survive that is only matched by Rambo’s. And that’s what makes it uniquely different… man’s conscience fighting his dark, dangerous, uncontrollable subconscious. Very similar to the plot in Forbidden Planet… when the doctor couldn’t control his mind and his subconscious took over and became a savage killing machine. It’s your worst nightmare. You’re battling your primitive self. As for the future of Rambo, we know Stallone is all set to reprise his role as the musclebound hero, and we’ll be keeping you right up-to-date as the sequel/franchise revival begins to coalesce.